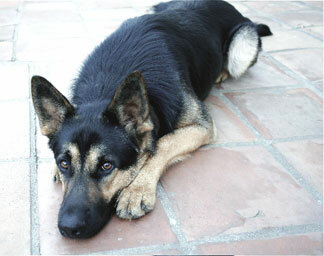 I have a gsd male who is 22 month old. He is excellent with people and very loving and playful. With dogs he is indifferent. He plays friendly with most but others he wants to show them who's the boss which can sometimes get him into a scrap. It has been mentioned to me that I should consider another gsd to get that bit of dog aggression out of him as it would be good for him to have a playmate and I like the idea but would like one older than 6months. Is it a good idea to bring another gsd into the house and what good or bad affects could it have on the one we have? Also would a male or female be best for our dog? Total German Shepherd: If you can really handle 2 dogs at one time - medical bills, food, attention, exercise, etc., etc., etc. then adding a second German Shepherd shouldn't be a huge issue. At his age he should adjust well to another GSD in time depending on how the introductions are handled and how much attention you show BOTH dogs after you bring a new one home. If you get a new dog and lavish attention on it and don't pay as much attention to the first dog then issues like jealousy and many other things can pop up. Don't forget your first dog if you get a second. Remember to make special time for them too individually. Whether you get a girl or boy is mostly a matter of preference, however, either way you'll need to get everybody "fixed" if you haven't already or you'll have loads of other issues when the new German Shepherd puppy grows up - such as territorial or dominance issues or potentially even pregnancy. So, if you're really ready for more vet bills, more food costs, more exercise, attention and play time then I imagine you're ready for more fun time too and a lot more "German Shepherd" goodness. Good luck!